Ever since Jersey Boys made its first run through Columbus in 2011, the city hasn’t been able to get enough of the music of Frankie Valli and the Four Seasons. Jersey Boys, the Broadway musical based on the decades-spanning pop group, was brought back for an encore performance this September. In November of last year, Valli paid a visit to Columbus with a new Four Seasons group for a performance, and he’ll be back Nov. 3. 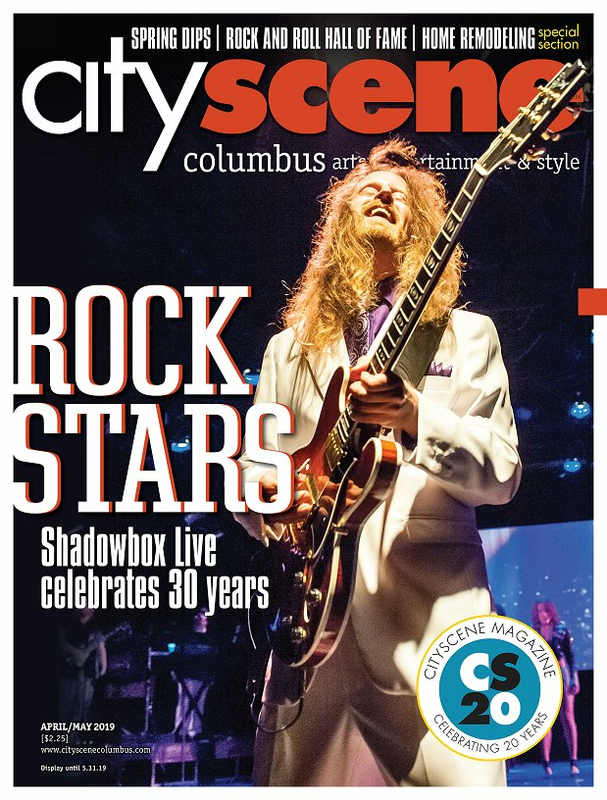 And on Nov. 9 of this year, another option will be available to central Ohioans enthralled with that golden era of popular music when the Midtown Men performs with the Columbus Symphony Orchestra at the Ohio Theatre. The group is led by Christian Hoff, Michael Longoria, Daniel Reichard and J. Robert Spencer, who originated the roles of the four main characters in Jersey Boys when the show opened on Broadway in 2005. They’re backed by a seven-piece band. The rousing success of the musical made it a no-brainer for the original “Jersey Boys” to continue performing after they finished their commitments on Broadway. Audiences were clamoring for more – not just more Four Seasons music, but more from the men performing the songs. “While we were performing on Broadway, we were being asked by so many corporations and fundraisers if we could perform,” says Spencer. In Jersey Boys, Spencer played the role of Nick Massi, the Four Seasons’ bassist. The group is now in its third year of touring and has racked up more than 250 concerts. Though the Four Seasons is, of course, a big part of the Midtown Men’s repertoire, the band gets its songs from a variety of 1960s-era bands, including the Beach Boys, the Beatles, the Mamas & the Papas, the Turtles and the Rascals. It even blends in a bit of Motown as part of an 11-minute medley. There’s a lot about that era’s music that sets it apart, but one key aspect Spencer points out is the four-part harmonies – a major staple of 1960s pop and rock groups that doesn’t appear as often in modern tunes. And the show is more than just music, though of course music makes up the bulk of each evening. The band members also have a library of stories that they run through, giving off a vibe similar to that of 1960s-era shows – think Frank Sinatra, Dean Martin and Sammy Davis, Jr. – that featured playful banter between songs. “I can say with complete pride and complete humility that audiences really, really love what we do,” says Spencer. Audience reactions are more than merely gratifying, Spencer says – they also help shape the Midtown Men’s show, fueling the band’s creative energy. As did Jersey Boys, the Midtown Men gives the band members the chance to maintain the skills they needed to score those major Broadway roles: singing, dancing, acting and playing an instrument, all wrapped up in one neat package. Spencer grew up wanting to sing and act, and learned how to play both drums and guitar as a child, so the role was perfect for him. He didn’t necessarily see himself doing the four-part-harmony, 1960s-era type of music – his interests ranged from the Beatles and the Beach Boys to Rush and Van Halen, not to mention country and blues – but he always wanted to make rock music. The gig with the Columbus Symphony Orchestra won’t be the first the group has done with a full orchestra; Houston, Atlanta and Omaha are just some of the cities whose orchestras have joined forces with the Midtown Men. And though the songs are the same, a show with a backing orchestra presents a completely different experience, Spencer says. He gives as an example “California Dreamin’,” one of the biggest hits for the Mamas & the Papas. The song is top-notch when performed by just the Midtown Men and the accompanying band, but a full orchestra arrangement gives it a whole new quality, Spencer says. “It just brings such beauty to the song,” he says. An orchestra provides much different colors and sounds than does a band by itself, says symphony General Manager Pavana Stetzik, and a full orchestra such as Columbus’ offers a much different vocal accompaniment than does a standard Broadway pit orchestra. “Broadway pits have been greatly reduced, so this provides a complement with the orchestral sound,” says Stetzik. Though this will be the symphony’s first time performing with the Midtown Men, its 60-member pops ensemble has done shows with such groups as 1950s pop trio the Lettermen and, just last year, Beatles tribute outfit the Fab Four. Its members are accustomed to taking the stage after just one full rehearsal with a touring band, Stetzik says. It’s a mutually beneficial arrangement. Spencer has noticed many orchestras enjoy the opportunity to perform popular rock songs such as those in the Midtown Men’s repertoire, while many bands and artists have appreciated the chance to put a full orchestra behind them, says Rich Corsi, director of programming for CAPA. CAPA oversees operations for the symphony. The combination of the consummate professionals in the symphony and the highly polished show of the Midtown Men promises a dynamic performance, says Stetzik. “You’ve got these four amazing guys with their voices – you throw a 60-piece symphony behind it, and it’s just unbelievable,” Corsi says.